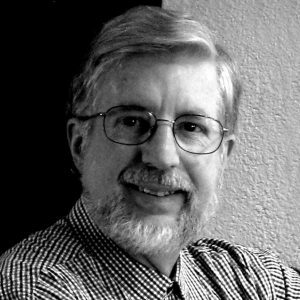 Ken Hosmer is passionate about painting and teaching! As an artist, Ken is known for his unique use of color, and as a skilled teacher, highly respected for a calm, supportive demeanor. Ken has taught art workshops for over 30 years. He has been a guest workshop instructor for more than 100 art organizations across the United States and in exotic locations such as Italy, Greece and Mexico. The Artist's Magazine and Watercolor Magic have published a number of his articles including, "Four Steps to Creative Color," and "How to Paint Backward." His painting, "Spring Calves," and accompanying article were included in Splash 4: The Splendor of Light, published by North Light Books. His art instruction videos include More Dynamic Color, Secrets of Flower Painting, and Hosmer's Famous Ink Sketch. Originally from West Texas and New Mexico, Ken moved to Nebraska in 1997. 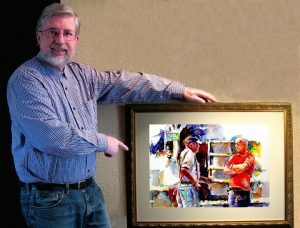 He is a signature member of the Southwestern Watercolor Society. Ken Hosmer's painting, titled 'Good Conversation,' was accepted into the American Watercolor Society 147th Annual International Exhibition in New York City, 2014. In 2015, Ken joined Impact Nebraska Artists. Impact is a juried group of nationally recognized artists living in Nebraska. They provide theme exhibits for museums and galleries in Nebraska and surrounding states.